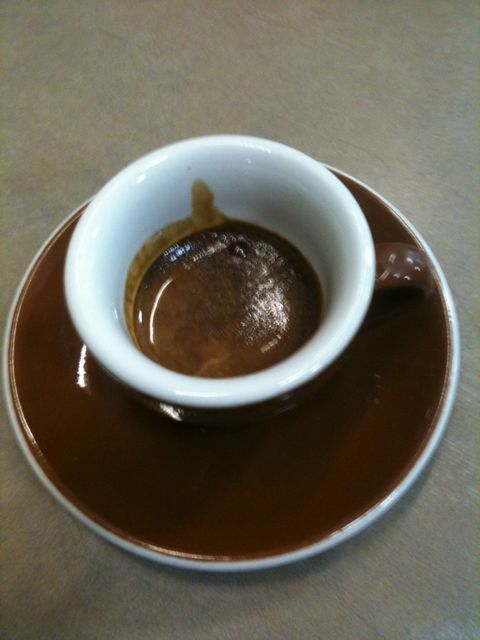 Blackout Espresso is our new organic espresso blend. We were looking to add a heavier espresso to compliment our Illuminator Espresso blend, which is lighter with more acidity. Blackout Espresso has a syrup like mouthfeel, it is crazy thick, with sweet molasses up front, coats your mouth with brown sugar and tobacco, finishing with huge chocolate notes. Absolutely amazing; when finished, you think you just finished a rich chocolate dessert. This was pulled on our 4 group LaMarzocco with a brew temp of 198° F.